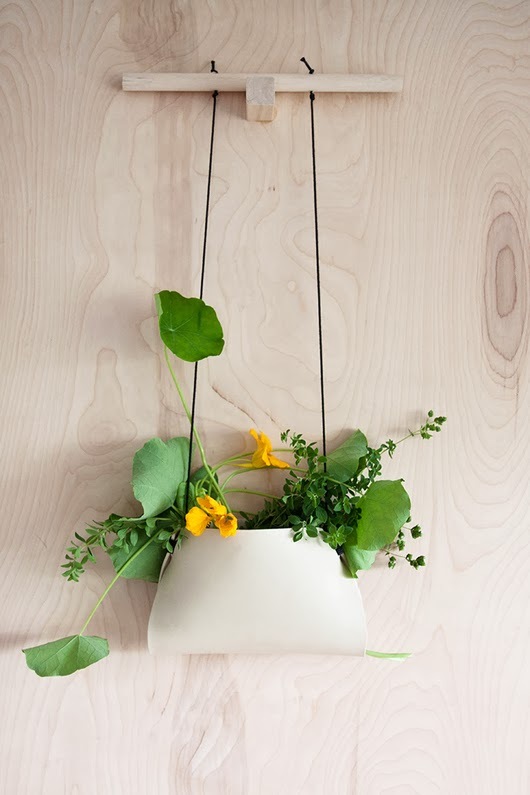 The Hanger Planter is a product of a collaboration between designers, Brooklyn-based Doug Johnston and Michigan-based photographer Debbie Carlos, the pair spent the summer creating a series of objects under the name ‘Material Material’. By simply shipping each other raw materials for each other to use, they came up with some very cool designs, later shown at the San Francisco shop Little Paper Planes. The Hanging Planter was made out of a sheet of rubber sent from Doug to Debbie! See more of their creations over at Sight Unseen.